Over the last century a growing number of visual artists have been captivated by the entwinements of beauty and power, truth and artifice, and fantasy and functionality that they perceive in geographical mapmaking. This field of map art has moved into increasing prominence in recent years, yet critical writing on the topic has been largely confined to general overviews of the field. 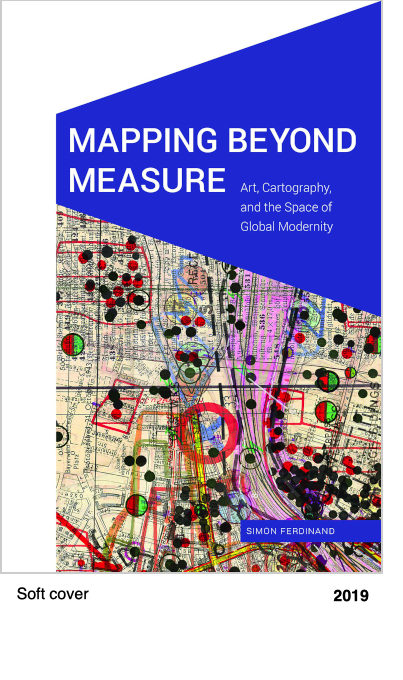 In Mapping Beyond Measure, Simon Ferdinand analyzes diverse map-based works of painting, collage, film, walking performance, and digital drawing made in Britain, Japan, the Netherlands, Ukraine, the United States, and the former Soviet Union, arguing that together they challenge the dominant modern view of the world as a measurable and malleable geometrical space. This challenge has strong political ramifications, for it is on the basis of modernitys geometrical worldview that states have legislated over social space; that capital has coordinated global markets and exploited distant environments; and that powerful cartographic institutions have claimed exclusive authority in mapmaking. Mapping Beyond Measure breaks fresh ground in undertaking a series of close readings of significant map artworks in sustained dialogue with spatial theorists, including Peter Sloterdijk, Zygmunt Bauman, and Michel de Certeau. In so doing, Ferdinand reveals how map art calls into question some of the central myths and narratives of rupture through which modern space has traditionally been imagined, and establishes map arts distinct value amid broader contemporary shifts towards digital mapping.